The Kauffman School prepares students to be intellectually curious, economically independent, and confidently self-directed. Our students live life on purpose. They learn not to be afraid to take calculated risks in pursuit of their aspirations and understand that a life devoid of failure is a life half-lived. The Kauffman School is unrelentingly focused on the academic and social growth of our students. We know every student in our school. Our strength is our talented staff, who combine deep subject knowledge with the ability to motivate and inspire our students to realize their individual potential. We will help each student identify his or her unique talents and abilities and how to apply them in the world. We provide our students with a rigorous education to enable each one to fully compete in our nation’s colleges and universities. 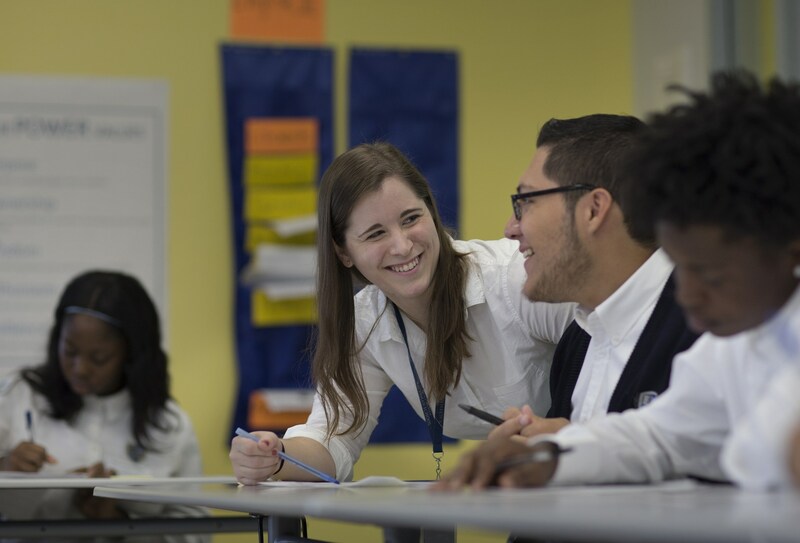 Our students receive strong training in math and science; all students will learn a world language. Each student will be technologically and financially literate. Our students will be prepared to contribute to their local, national, and global communities. We expect our students will have multiple careers over their lifetimes; some of the jobs they will hold do not yet exist. Since we cannot predict the future, we prepare our students for all potential futures. We accomplish this by making sure our students are able to think critically, embrace change, and take charge of their own learning in a rapidly changing world.